Fair warning - this is a long post! This post is about trying new things w/ hair, trying new foods, organization, home decor purchases, and a DIY project! Last weekend I went to Miami Spice (similar to Restaurant Week in other cities - where super nice restaurants have a prix fixed menu for $35) at Ruth's Chris. It was the first time that I LIKED my hair when it was curled, but unfortunately my face was lookin' all sorts of weird so I had to cut out the best part of my hair! If you can see the bottom and are curious what I did - I started with hair that hadn't been washed in 1 day, and wrapped my hair in about 1-2 inch sections around the outside of the curling iron barrel. It started to fall out almost immediately, so after I was done, I went back through each section again quickly, spraying each section with hairspray right after I curled the hair around the outside of the barrel for about 15 seconds. It ended up staying all throughout dinner AND in the Miami humidity at that! Great success. 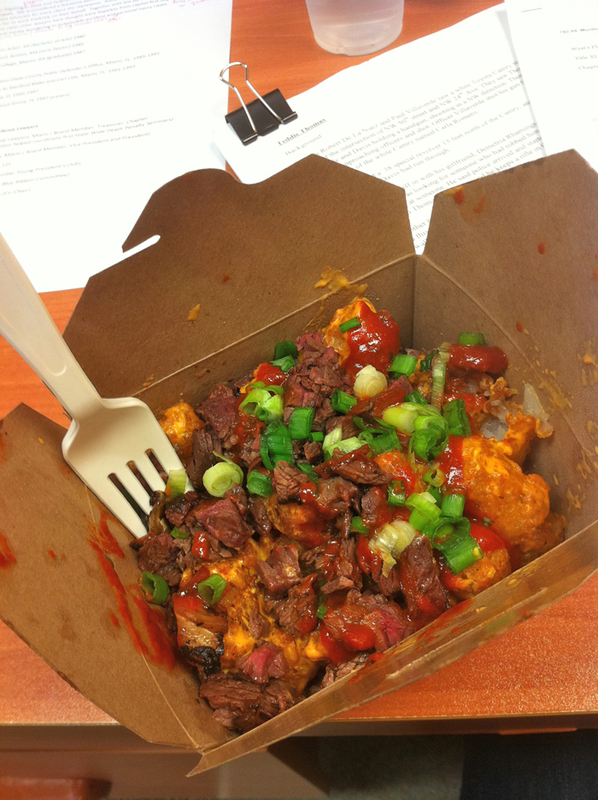 Basically, it is DELICIOUS beef on top of DELICIOUS tater tots! NOM NOM NOM. Then, later in the week, I decided to try a salad. I pretty much hate salads. 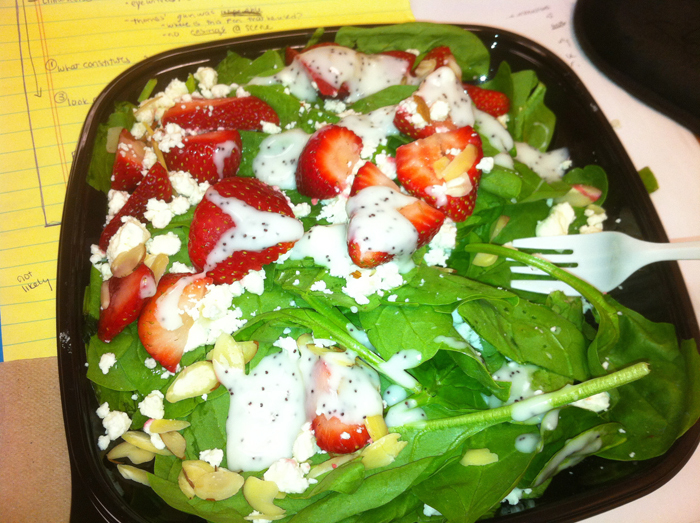 But this strawberry and spinach salad was to DIE FOR. NOM NOM NOM. I am a salad convert if they are all like this!!! 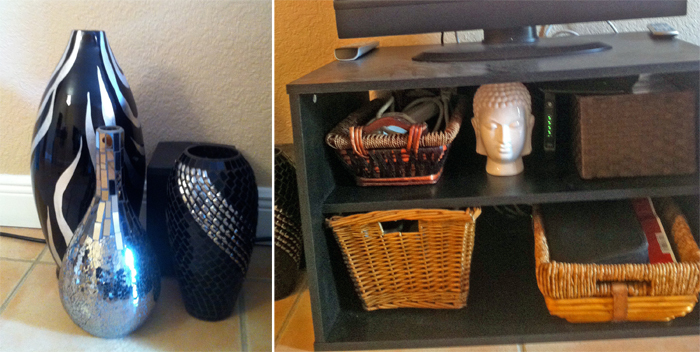 This week was all about organizing my apartment, too. I've really been behind on getting everything the way I want it. Step one for me was organizing drawers. This is my bra drawer (turn away if you are easily offended!) I have to say I am most proud of this drawer. I learned this trick after working at Victoria's Secret for a summer a few years ago. SO ORGANIZED. I LOVE IT. 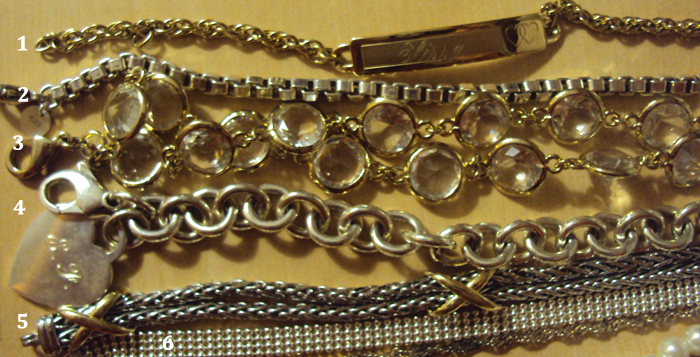 I also took on the daunting task of organizing all of my jewelry and putting it away. 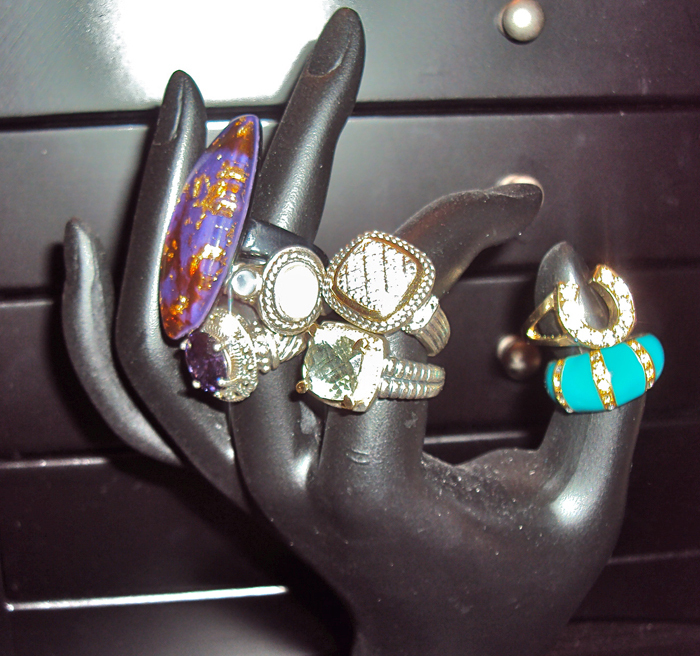 I only got bracelets, earrings and rings done, because they are my smallest collections. I like to give credit where credit is due, so see after the pictures for a list of where I got stuff. I have a fairly small ring collection, mixed with cheap and more expensive pieces. I'm hoping to get more comfortable wearing rings this year. I do have more earrings than this, lol. Below is the top of my desk. I try to keep great memories around me! Left to right: empty frame (lol, needs to be filled) that I was given as a gift from the Congresswoman who I worked for a few years ago, a little sombrero that I got on spring break 2008 in Puerto Vallarta, a pic of me and two of my friends at a sorority formal, a frame and picture my friend gave me as a going away present to Miami, another frame and picture that my friend gave me as a going away present to Miami (filled w/ picture from spring break 2009 in Cancun). This week I also went to the grand opening of a TJ Maxx/Homegoods store. I was looking mostly for a desk chair for my bedroom, but I got some other things I am SUPER excited about! 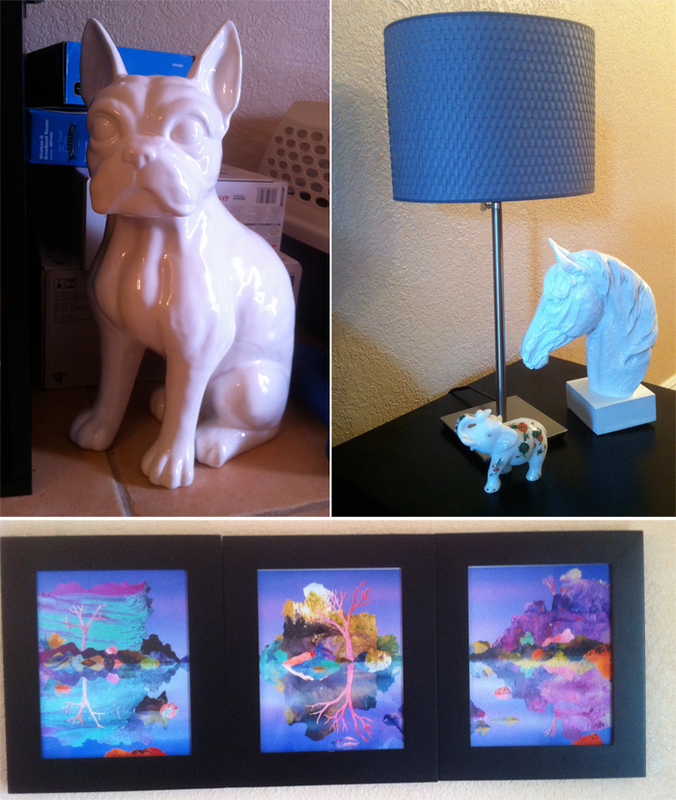 Top left: French bulldog white ceramic statue - it is as big as Wednesday right now! I am in LOVE with this chair from Homegoods. I am using it as a desk chair. 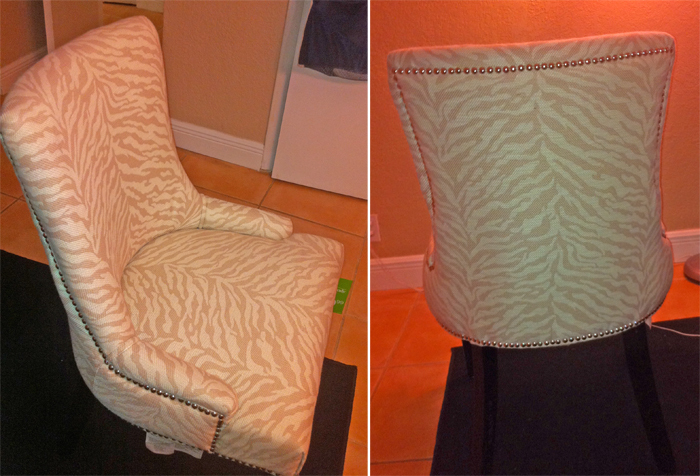 I almost bought two, but I realized I am not yet a lawyer and cannot afford $260 worth of zebra print chairs. $130 will have to do for the time being, lol. 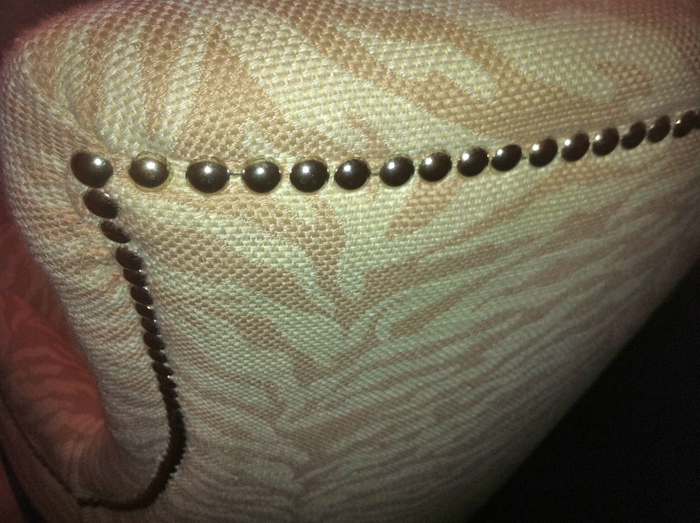 LOVE THE NAIL STUD DETAILS! 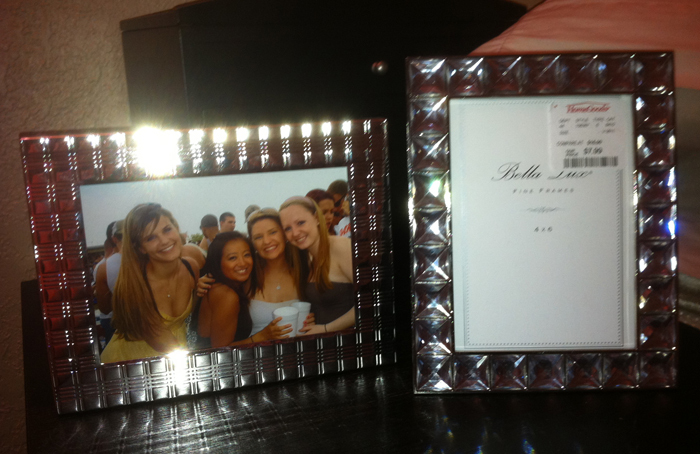 FINALLY, last but not least - I picked up these two frames at Homegoods also. You can never have too many sparkly frames :) - Now I just need another picture to put inside it! you have such amazing jewelry! I never wear jewelry, but I love it on other people, so I should start wearing it more often. 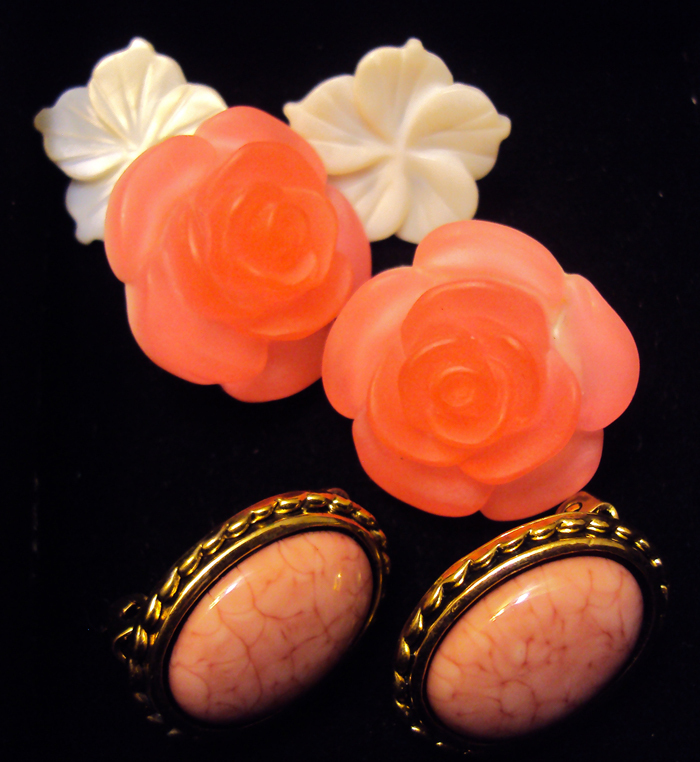 beautiful accessories, you´ve got tons of them!!! i so love your top the pattern looks exytremely good. wow, amazing post- i love your blog, you have a new follower! if you have a little time, please check out my blog. i love all your jewelery, looks fantastic. 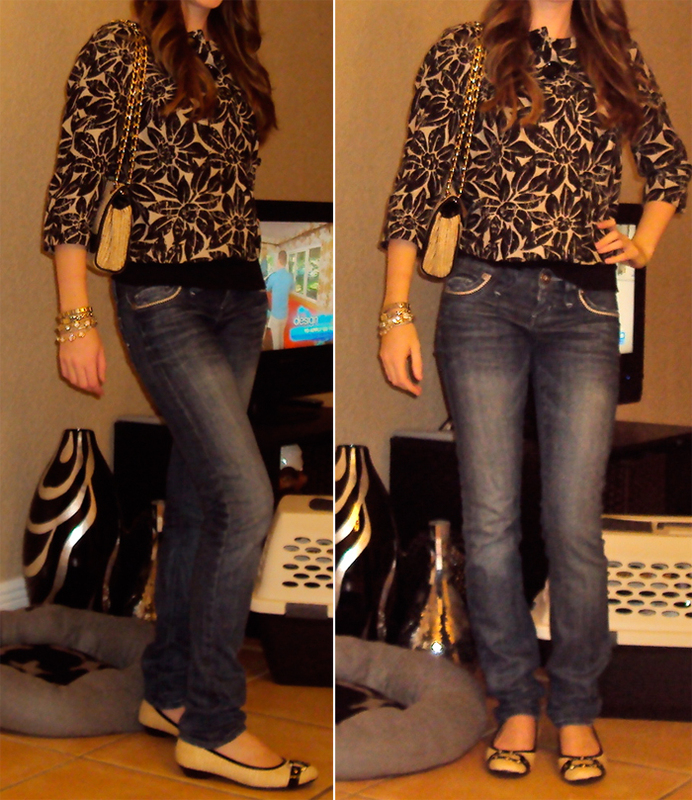 and the outfitpost is very nice, like the bag! Cute top and jewelry !! Your dog is also adorable!!! Love your blog! wow i am very impressed with that bra drawer! 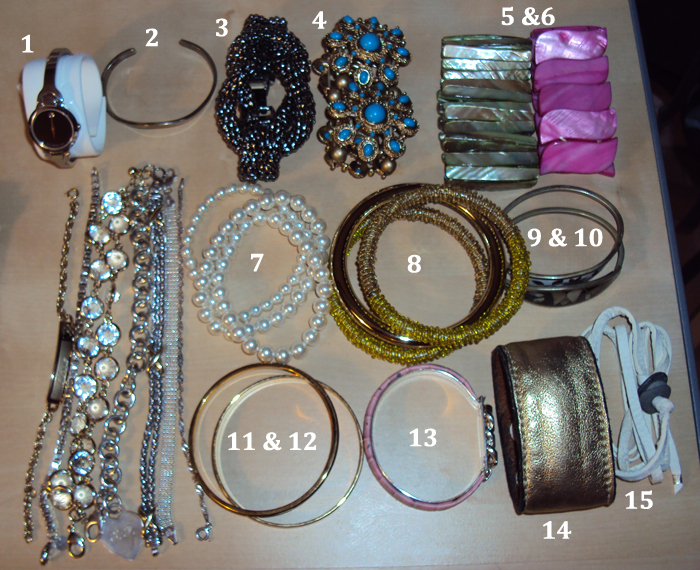 and i think i will be inspired by you and organize my jewelry, too...it's a lot of work! great pictures! i love your decor...the puppy and horse are my faves. Lovely post, some great accessories. oh, love this post! the 'jewelry hand' is so friggin' cool. I really need something like that, because right now all my jewelry is scattered all over the place, haha! love your outfit as well!